Japanese people consume a lot of fish and seaweed, and are known for their longevity. For cardiovascular health, the American Heart Association recommends eating fish at least twice a week. Patients with heart disease or risk factors may need to eat more. Fish oil may help to lower blood pressure, reduce triglycerides, slow the development of plaque in the arteries, reduce the chance of abnormal heart rhythm, heart attack stroke. Dr. Brooks knows some people do not like to eat fish, and therefore should take fish oil supplements. It is not clear if these supplements would further help if someone is already eating a lot of fish. Human studies have not shown that fish oil supplements decrease heart attacks and/or strokes in people with heart disease or at risk for heart disease, nor in healthy people. However, patients in these studies are already taking heart medications and/or eat fish. A report from 2013 shows that generally healthy elderly people with high omega-3 blood levels live a few years longer, and are less likely to die from heart attack or arrhythmia . Fish oil also has anti-inflammatory actions, and may reduce rheumatoid arthritis. 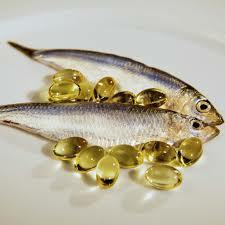 Fish oil supplement has been associated with a decrease in breast cancer risk. There are some suggestive reports that fish oil increases cognitive function and memory. It is possible that fish oil may help with retinal disease, dry eye, depression, and anxiety. A problem with fish oil supplements is that some brands may even contain toxins, such as lead, PCB (polychlorinated biphenyls), dioxin, and signs of decomposition. ConsumerLab is a company that does independent testing on fish oil supplements commonly available. For a fee, you can obtain the company’s results to help you decide which brand to buy. Mercury is not found in these supplements, but can be detected in fish meat. Mercury level is higher in shark, swordfish, king mackerel, tilefish, and albacore white tuna. Fish oil has a blood thinning effect, and should be stopped for a week before surgery. This supplement can also lower blood pressure. Therefore, you should let your doctor know that you are taking this supplement, so that other medications are adjusted appropriately. Dr. Mai Brooks is a Board Certified Surgical Oncologist with offices in Thousand Oaks, CA. To request an appointment with Dr. Brooks, you may call her at (805) 379-4677 or visit her website.